Up, up, up climb Mole and Bear. They are on the way to Camp Tiptop to see the stars. But as the sun sets, Mole is scared. What if they get lost in the dark? Luckily, Bear has the perfect story to calm Mole’s fears. Later, the sky has its own surprise in store for the two campers. “May we sleep under the sky tonight?” asked Mole. The cover art is adorable! It previews perfectly the theme—friends using their strengths to help each other out. A simple plot focuses on a camping trip. Mole and Bear work together to pack up for the journey, to help each other out on the way up, to set up camp, and to spend the evening outdoors. The story within a story framework is utilized. As night moves in, Mole is afraid of getting lost in the dark (a bit ironic for a mole). 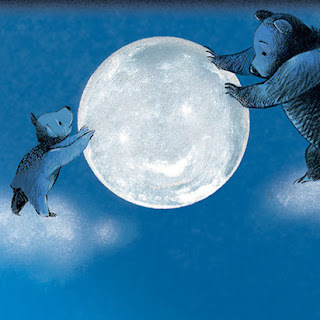 To comfort him, Bear tells the story of how the moon and stars were added to the sky to give them light and direction. Hillenbrand’s signature illustrations use soft shades in contrast with bright colors. The story moves from close up shots of the characters to sweeping views of the sky, emphasizing a strong intimacy of friends and family in the vast and spectacular universe. These characters are memorable and endearing. Bear has great physical strength, but he also is kind and gentle. I love how he uses these qualities to help his small, meek friend, Mole feel safe and overcome his fears. Overall, their friendship exemplifies the importance of using our strengths—whether physical, emotional, spiritual, or mental—to help each other. 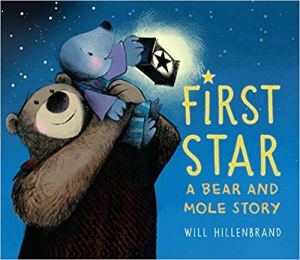 First Star: A Bear and Mole Story a sweet story of lasting friendship and overcoming fears. Also, check out Hillenbrand’s Spring Is Here and Down by the Barn. 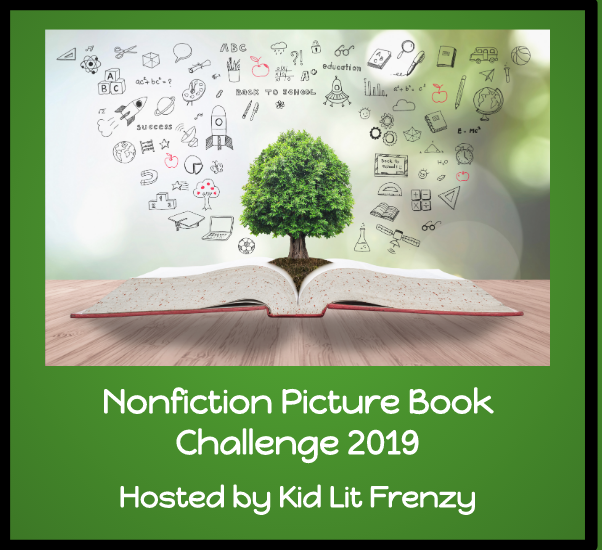 Literature: Read other creation stories. Compare and contrast them. See Picture Book Connections. 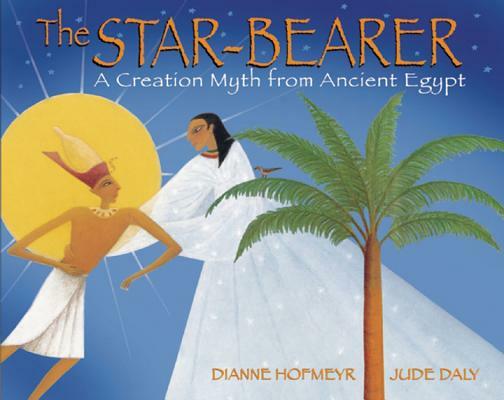 Writing: Write an original creation myth about the moon and stars or something else in nature. Science: Learn about the moon and its phrases. Life Skills: Allow students to share their camping experiences. What supplies did they need? What did they do on the trip? How did they get around at night? Field Trip: Plan a camping trip (even one in the backyard). Have the whole family (or class) determine what supplies are needed and pack them up together. For a class, it could be a picnic outside school. 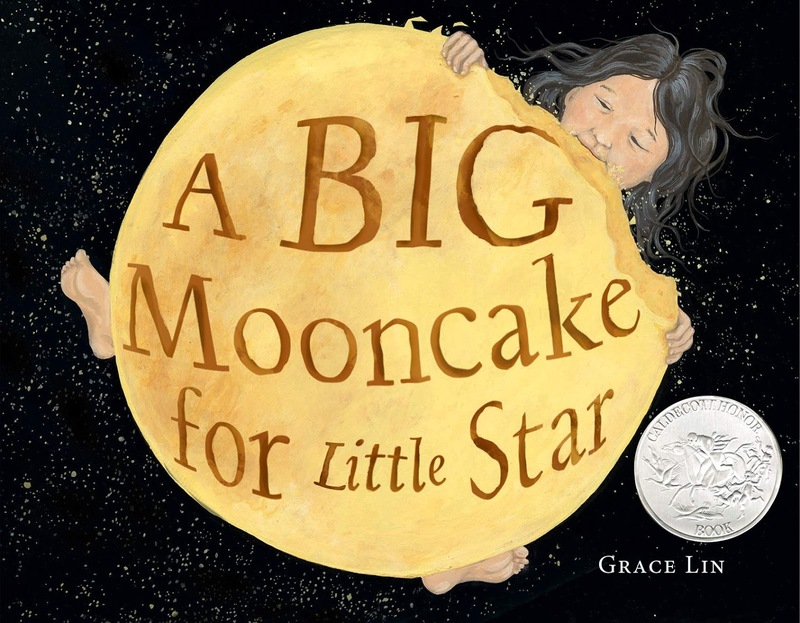 This heartwarming modern folktale explains how the moon ends up in the sky—as well as the reason for its phases. Creation begins when Atum, the god child, emerges from the bud of a lotus. Stories build off his family that explain how the world and other gods came to be. 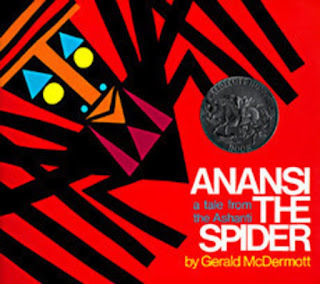 When Anansi falls into trouble, his six sons come to the rescue. This trickster tale explains the origin of the moon. 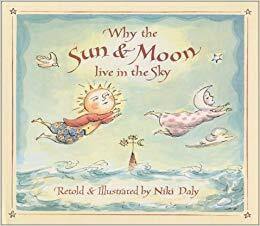 The story explains why the moon and her children the stars only appear at night when Sun is not around. 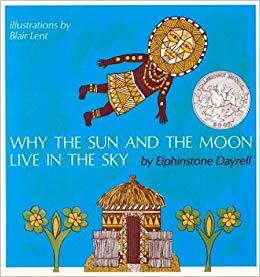 Like the aforementioned story, the origin of the moon in the sky is explained. 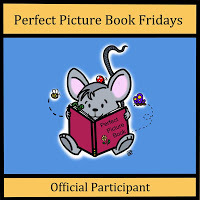 Visit Susanna Leonard Hill for Perfect Picture Book Friday. but if you don’t, you still get a POEM. someone in this dang house to go to bed. a part of this family now. DOG, which is a CRIME. who put up with their singing. murder their little brothers, not even once. POEMS for being DONE. WITH. POEMS. POEMS for all kinds of weirdos. There are some fantastic poems in this collection. Right off, I was captivated with the sample poem above, “My Secret Karate.” I think everyone can relate to the public bathroom anxiety of trying to touch as little as possible. The comparison to a special karate (i.e. Tae Kwon Doo or Kung Poo) is witty and amusing. 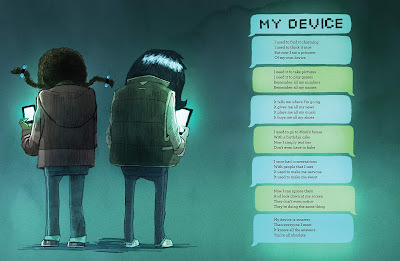 Equally so, I love “My Device” (see picture). Santat’s use of text boxes perfectly compliments the poem. Miller captures the text-saturated and communicative handicap younger generation in a poignant and humorous way through irony and word play. 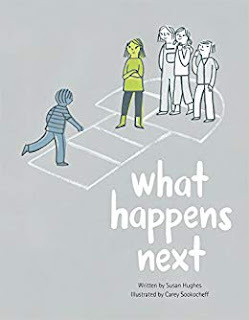 Some other favorites are “My Homework,” “Weirdos of the World Unite,” and “Purple Pox.” This collection is appealing to kids with its inventive way of looking at everyday issues and experiences. Santat’s illustrations are boisterous and imaginative, often adding layers to the already absurd scenarios. “Brotherly Love” is one poem I would have left out. On one hand, it illustrates the often-contentious sibling relationship, which is a popular topic in children’s literature. However, it goes a bit far asking the girl not to drown her brother in the bathtub or to pour gasoline on him. Yes, the speaker is saying, “don’t do it.” My question is, why even suggest these as possibilities—even in a “funny” context? I felt uneasy reading it—especially in a children’s book. Thinking of creative tortures that are not really dangerous would have been better option for an otherwise solid children’s poetry collection. 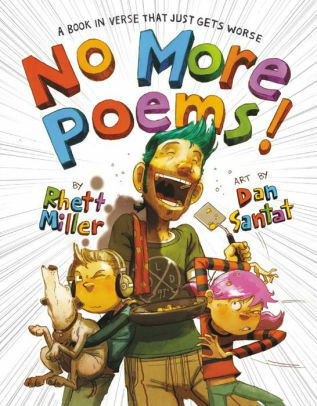 Aside from that one objection, I enjoyed No More Poems! 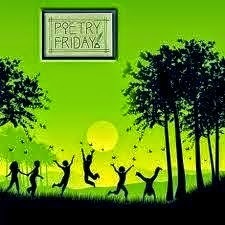 Check out more great poems and poetry books at The Poem Farm for Poetry Friday. 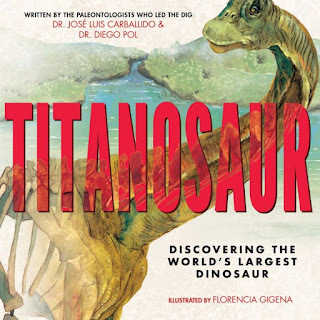 Join paleontologists Jose Luis Carballido and Diego Pol on the adventure of a lifetime, and learn all about how they uncovered more than 180 titanosaur bones in the deserts of Argentina, forever changing our understanding of these 100-million-year-old creatures. After excavating the skeletons of seven of these giant sauropods, Dr. Carballido and Dr. Pol and their team transport them to a museum in Argentina, studied them, replicated them, and built the biggest dinosaur skeleton the world has ever seen! 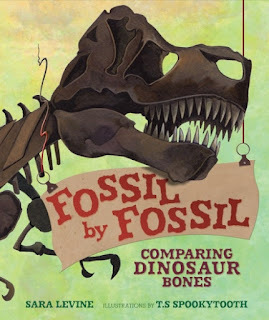 With information on how to keep fossils from breaking, the secrets to a successful dinosaur dig, and just how much we can really learn from a tooth, this book with not only delight dinosaur lovers—it will inspire young scientists. Early one summer morning in a place called Patagonia, Argentina, a gaucho and his sheepdog left their ranch to search for a lost sheep. After hours of searching, the gaucho spotted something poking out of the dirt. From the mystery of the unknown object sticking out and the unearthing of the bones to the preparation for study and the finalize reconstruction, every event is a critical puzzle piece in this compelling story. Words and concepts are defined outside of the storytelling to help educators and parents explain text references. Budding paleontologists and future scientists will be drawn to the fascinating facts about dinosaurs, archeology, teamwork, and research. Florence Gigena’s artwork perfectly adds to the storytelling and concept building. Photographs from the dig and study are interspersed with Gigena’s stunning replication of the events. When a bone is discovered, it is highlighted in a drawing of the dinosaur to give context. Other times she adds pictures to help visualization, such as comparing the dinosaur’s neck to a school bus or the length of the femur bone to the size of a person. Young readers (and older ones too) will immediately be swept in as this real dinosaur discovery unfolds! 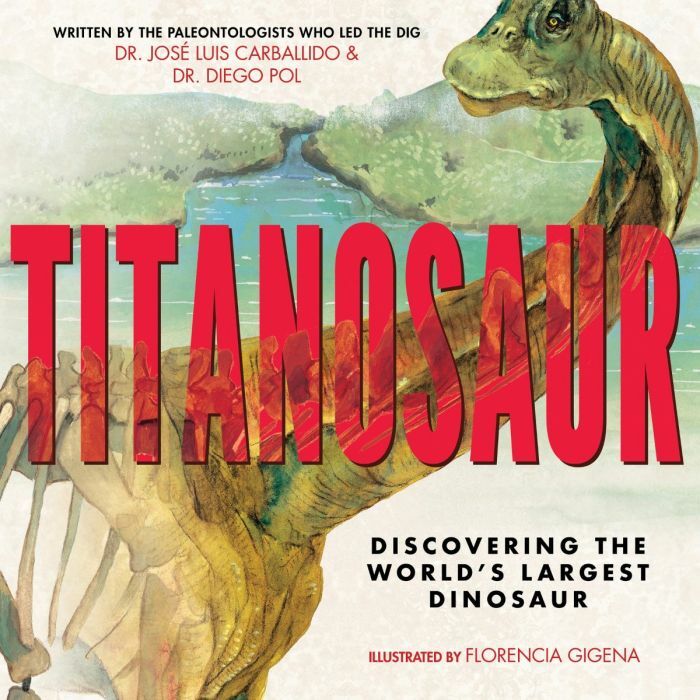 Titanosaur: Discovering the World’s Largest Dinosaur is a must-read for ages 5 and up. This delightful book highlights the unique bones of different species. Young readers are encouraged to guess which dinosaur they belong to. The answer, and some fast facts about it, are revealed on the next page. 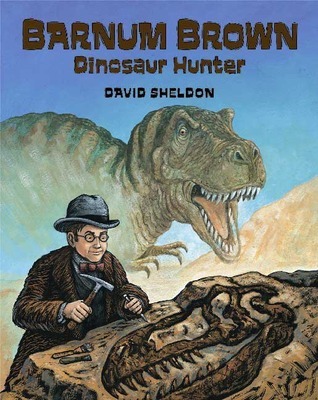 Brown was an early paleontologist whose many discoveries led scientists to a greater understanding of dinosaurs and people to a greater fascination of these prehistoric creatures. This children’s poetry collection celebrates dinosaurs. 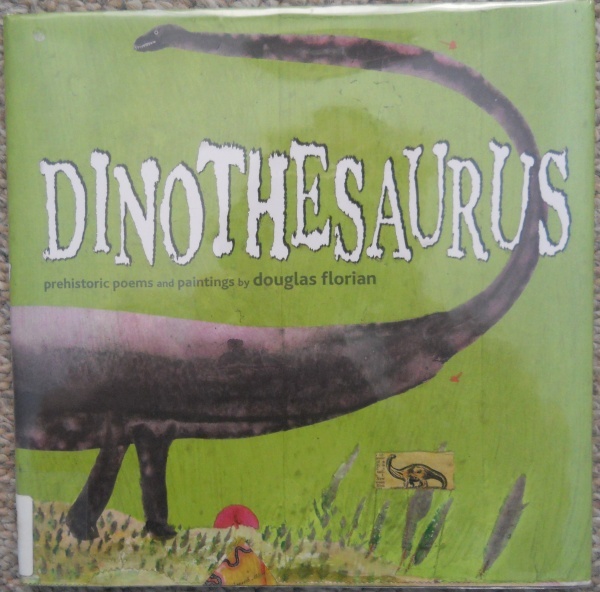 For fiction for the dinosaur-lover in your life, click HERE. Blip, the robot, loves being on her computer She learns new things, plays fun games, dances to music, and visits faraway places. When she accidently gets “unplugged” and tousled far from home, she realizes there are other ways to learn new things, play fun games, dance to music, and visit faraway places. 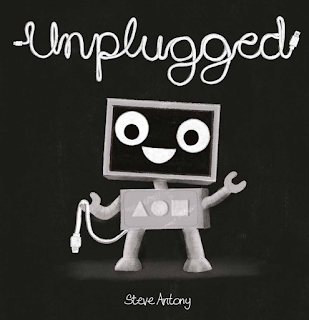 Eventually, Blip plugs back in, but all she can think about is the fun of being unplugged. 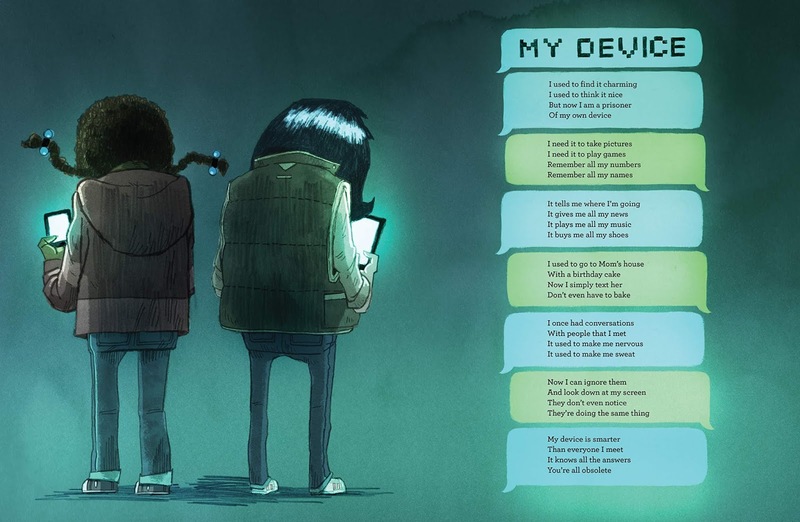 This wonderful, timely story reminds us of the importance of really living in the moment—away from electronic devices. Izzie and Mama playfully blow kiss to each other and catch them. When Izzie misses one of her mom’s kisses, she runs as fast as she can to catch it. Nevertheless, it glides away with the wind. 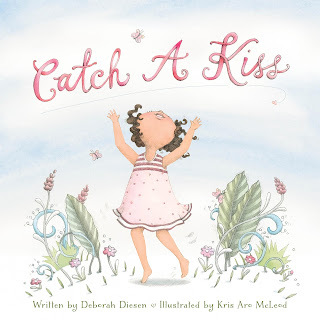 Mama shares a secret: ”No matter how far they have to go, no matter what they have to get through, and even if they get lost along the way, Mama-kisses ALWAYS come find you.” Sure enough, the missed kiss finds its way to Izzie. 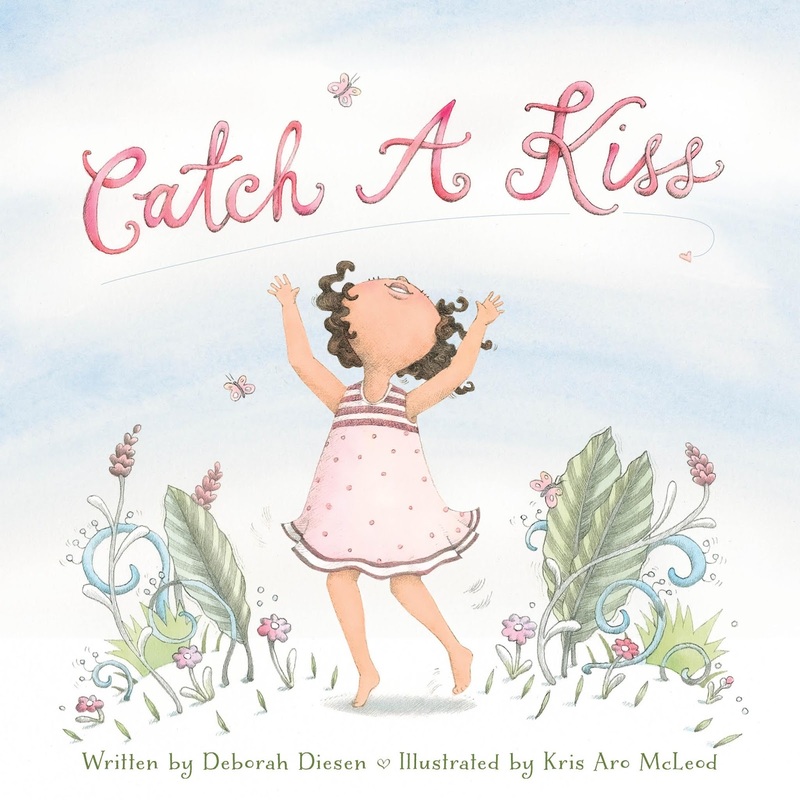 This sweet mother-daughter story is full of love, affection, and, of course, kisses. The protagonist experiences bullying on a daily basis. Using an original story prompt format, the internal conflict and external coping are revealed in a raw and realistic way. The child is called weirdo and laughed at, which causes feelings of isolation and insignificance. After talking the situation over with his/her mother, the protagonist feels empowered to confront the bully. The situation does not miraculously change, but it does improve. This picture book is ideal for discussing bullying, relationships, and empathy. 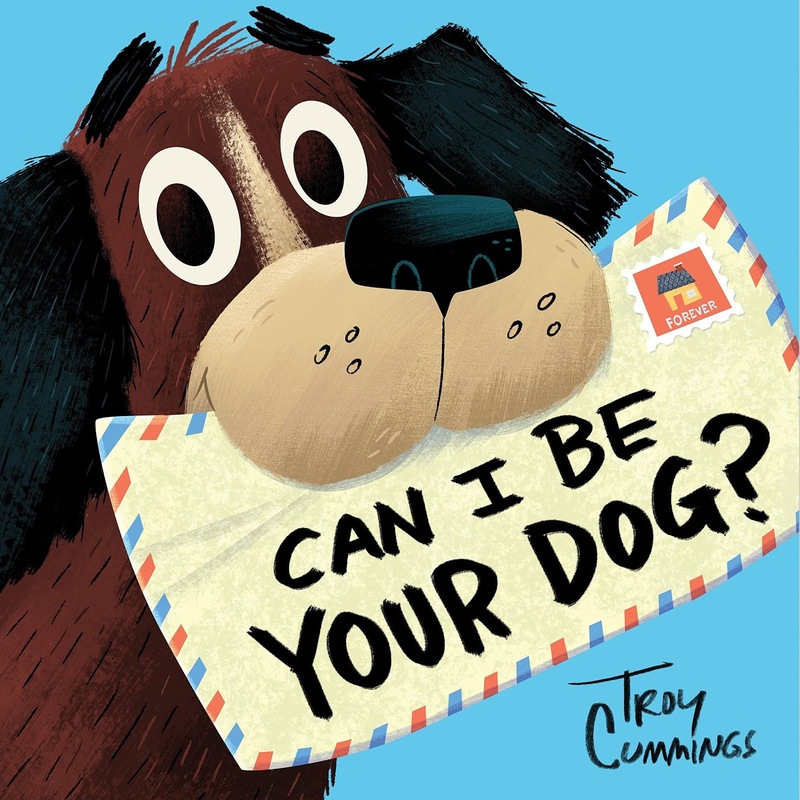 In this adorable book, Arfy, a stray dog, writes letters to each house and business on Butternut Street, asking to be their dog. He makes arguments for why he would be an ideal fit for them—potty trained, can work with cats, will clean the floor, can fetch boots, and so forth. In return, he gets letters back on why he cannot stay there. After he feels all his options have been exhausted, Arfy gets a letter from an unexpected person asking: Can I be your person? Can I Be Your Dog is full of charm, personality, and wit. Finn misses his grandfather. 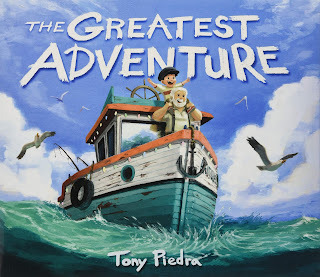 To honor him, he builds a boat to go on a long journey—one he had planned with his grandfather. As the journey begins, he encounters a great golden fish, a library island, an island of giant shells, and a sea of moon jellies dancing. 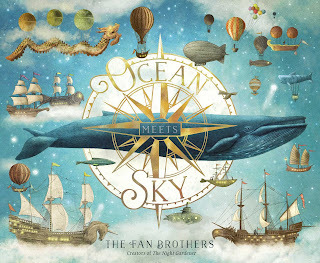 Finally, he reaches the place of his grandfather’s stories: A magical place where ocean meets sky. 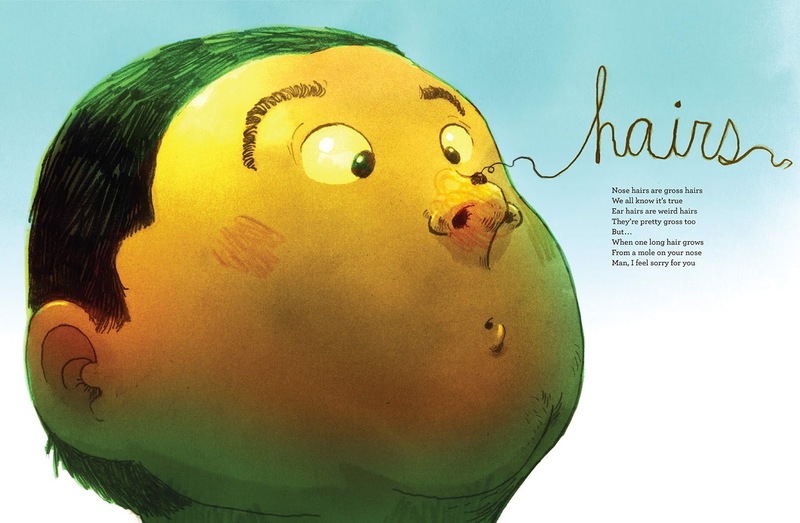 Breath-taking illustrations and imagination fill every page in this story about loss and coping. Little Star bakes a big, yummy mooncake with her mama. She promises her mama she will not eat any yet. In the middle of the night, though, she tiptoes toward it. Little by little, she nibbles on it—until it has disappeared! Now, mother and daughter must work together to make a new one. With striking illustrations, the phases of the moon are explained in a memorable and imaginative way. A little duck is afraid to swim in the water with her mom and siblings. After some encouragement and practice, she finally takes the plunge! Perfect books for kids with fears of water or other things. Bella wants to be just like her friend, Anna—only sometimes it does not work well for one or both of them. After a disagreement, Anna stomps off, leaving Bella feeling lost and alone with no one to copy. Bella learns to do her own thing. Soon after, Chloe is watching her and wanting to join in. The girls learn how to cooperate and to collaborate with each other, making for a more satisfying playtime together. Copy Cat is a delightful book about bring a good friend and being your own person. 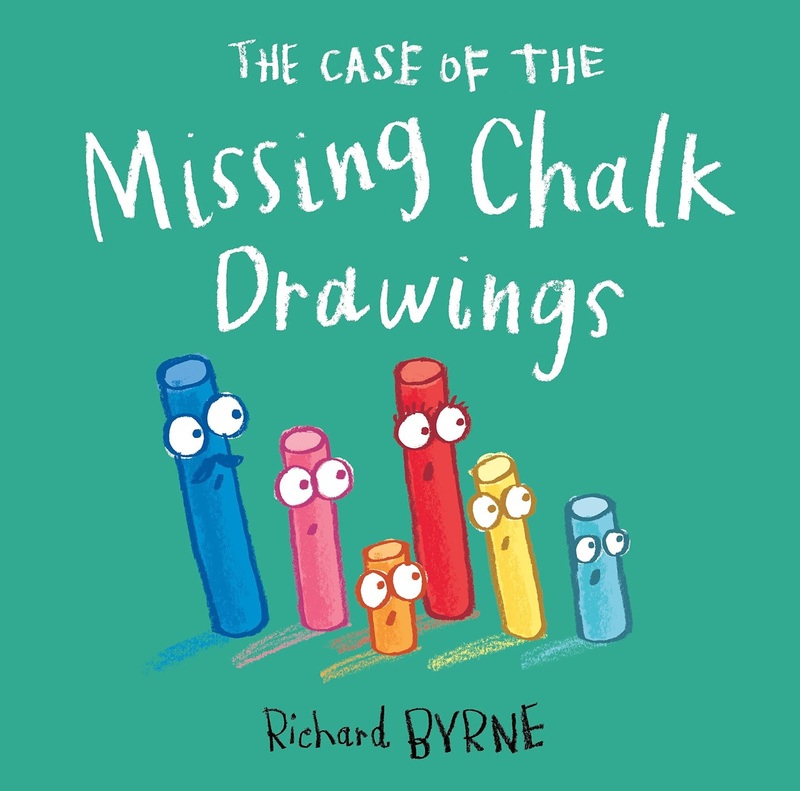 The chalks love drawing pictures. Someone keeps erasing them though! With the help of their teacher and Sergeant Blue, they look at the evidence and solve the case. However, they realize the issue is not so black and white. This fun mystery has a creative and inclusive ending. Eliot loves adventure! Living in the city means using lots of imagination to find it. 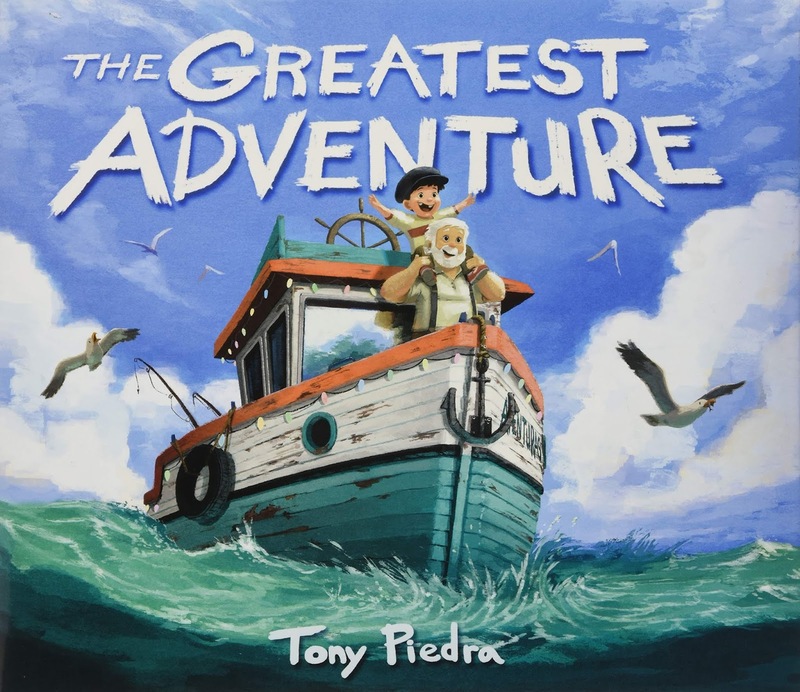 When his grandfather comes home from his real adventures at sea, Eliot is ready for a REAL adventure too. Together, they find that imaginative ones can be just as real. Stunning illustrations and brilliant imaginative text round out this amazing picture book experience. Have you ever seen a yellow elephant, glowing in the jungle sun? Have you seen a green frog—splash!—turn blue? Or a red donkey throw a red-hot tantrum? In this bright bestiary, poet Julie Larios and painter Julie Paschkis color a menagerie of animals in brilliantly unexpected hues—encouraging us to see the familiar in surprising ways. This collection of 14 colorful poems are sure to surprise and delight young children. 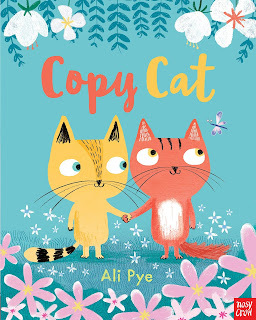 The lyrical words capture the real and wonder of the animals while the vibrant pictures illustrate the fantastic and unexpected. 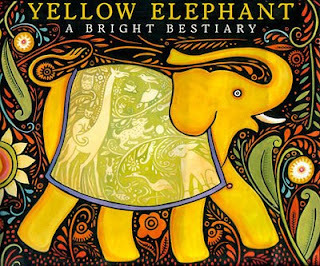 Yellow Elephant: A Bright Bestiary is a wonderful poetic experience. I recommend it for preschool and primary classrooms. Colors: Practice or review colors and color words. Poetry: Using a favorite color and animals, children can write their own creative sentence or short poem. Sound Devices: Identify and discuss sound devices like rhyme and alliteration. Grouping: Discuss ways to put the animals in groups like ones the students have seen in real life or touched. Other groups can be based on type of animal (reptile, mammal, etc.) or where it lives (trees, water, house). Art: Create one or more animals using unexpected colors, patterns, or textures. Fantasy vs. Reality: Use the pictures as a spring board to discuss the difference between fantasy and reality. Which parts are realistic? Which are imaginative? For older students, ask them to guess why the illustrator used some of the imaginative elements. Visit Live Your Poem for more Poetry Friday fun! 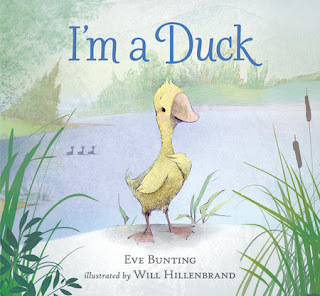 Also visit Suzanne Leonard Hill's Perfect Picture Book Round Up.